Before moving to somerset I had never seen a slow worm. Now they are a regular occurrence in my garden. Most people think these are snakes at first glance, but the presence of eye lids gives them away as a limb less reptile. They are also commonly thought as worms due to the name, but this is another misconception. Every sunny day many can be found around concrete in the garden. Also sheets of corrugated iron on the ground creates a hot space that they will thrive in as they are heatseakers. I’ve gone for a more natural / wild look for the garden and they seem to thrive in it. 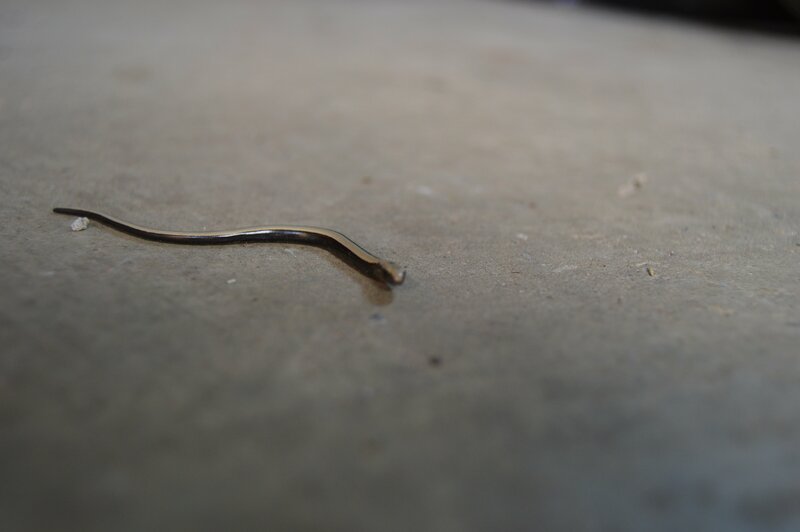 A month or so there were many baby slow worms of about 1″-2″ long in the garden and garage, as above. Now they are more like teenage slow worms and double in size. Hopefully in a few more months the garden will have many fully grown and about a foot long. Each slow worm when fully grown can eat up to 50 slugs a day, so every gardener should be encouraging them as natural pest control. They spend most of their time burying underground and can shed their tail to escape a predictor. Sadly the number of slow worms is on the decline and they are a protected specie in the UK. Domestic cats have been detrimental to slow worms as they have no protection against them. Even if you don’t like snakes and come across one take the time to love these reptiles, watch them blink and slowly move about their business. I’ve known even someone with ophidiophobia (fear of snakes) fall in love with these creatures. 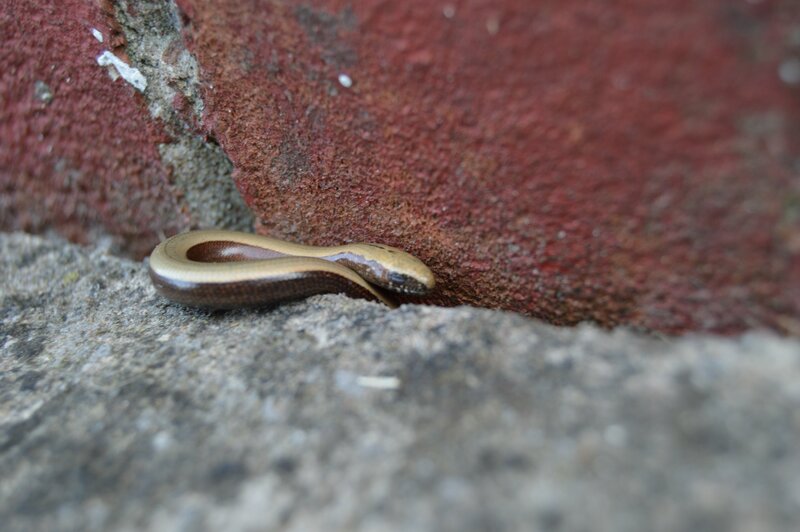 Slow worms are also known as anguis fragilis.